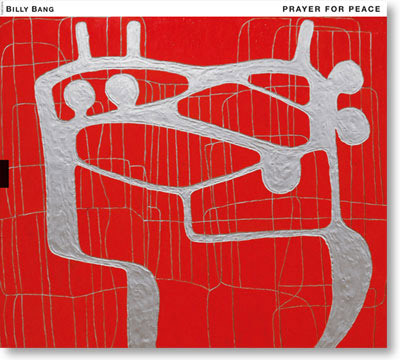 Prayer for Peace is the first recording by violinist Billy Bang´s regular working quintet of the past five or so years. Featured with Bang are trumpeter James Zollar, pianist Andrew Bemkey, bassist Todd Nicholson and drummer Newman Taylor-Baker. Billy Bang has long been recognized as a true master on his chosen instrument and as one of the undisputed leaders of his generation of improvising musicians. This recording again demonstrates the reasons for this presenting Bang at his strongest both as a composer and as a featured soloist. On Prayer for Peace, compositions range from the extended "Prayer for Peace", Bang´s heartfelt plea for peace both among nations and within our own lives, to Stuff Smith´s "Only Time Will Tell" and Bang´s "Jupiter´s Future", paying tribute to Smith and Sun Ra, respectively. Also included are Bang´s composition "At Play in the Fields of the Lord" and the Cuban classic "Chan Chan", featuring two of the leading percussionists on the current New York scene, Milton Cardona and Joe Gonzalez, in a nod to Bang´s own childhood years in Spanish Harlem.